The Cognitive and Behavioral Therapy offers strong methods to successfully and sustainably quit cigarettes for good. 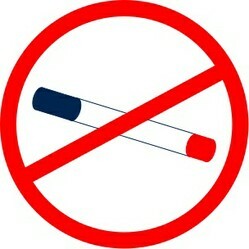 There are numerous methods to stop smoking, amongst others you can use hypnosis, acupuncture, pharmaceutical aids etc. This article describes the approach of the Cognitive and Behavioral Therapy to quit smoking. On the basis of the self-responsibility of the nonsmoker to be the cognitive approach and the behavioral methods will be explained. In general, the Cognitive and Behavioral Therapy emphasizes on the responsibility of the affected person who is seen as a client rather than a patient. The therapist and the client are equal partners because the client is the best expert when it comes to his life. In the end, the goal of a therapy is to improve the client’s subjective life and not to solve objective problems. In this context the Cognitive and Behavioral Therapy can be understood as strengthening the self-help capability of the client. With regards to a stop smoking program the nonsmoker to be cannot expect generic advice. He must face his situation and develop own solutions. This makes sense because the smoking addiction, and therefore the ways to overcome it, is always an individual matter even if common patterns can be found amongst most smokers. Furthermore, the process to sustainably quit smoking normally takes at least a few weeks. Because a therapist cannot accompany his/her client all of the time the capacity to help yourself is imperative. An example should clarify the relevance of this process for a stop smoking program. An employee with a stressful job takes several smoking breaks during the day. He argues that he needs these breaks with a cigarette to relax and switch off from the pressure in his job. This is relatively easy to falsify because nicotine actually stresses the body and therefore cannot be relaxing. An alternative and healthier cognition could be to relax through a short walk in the fresh air, to eat an apple or to have a cold drink. As you can probably see from the example described above solely changing the cognitions is not sufficient. The modified attitudes must be transferred into actual behavior. In this context the two major methods are the confrontation and the operant conditioning. Confrontation means facing and solving difficult situations. During the addiction a smoker unfortunately learned to associate certain situations with smoking. When he/she becomes a nonsmoker it is very unlikely that he/she can permanently avoid these situations. Therefore, he/she needs to learn to face such situations and to not suffer a relapse. More or less, the operant conditioning is nothing else than rewarding yourself for desired behavior. This technique is very helpful in the first weeks after quitting for good. The rewards will motivate and reinforce a fresh nonsmoker to hold on to his smoke-free life. The Cognitive and Behavioral Therapy offers a broad portfolio of effective instruments to quit smoking. Nevertheless, the nonsmoker to be needs to be highly committed and has a lot of work to do. However, this will be a good investment because it ensures not only to quit smoking but also to hold on to a smoke-free life in the long-term.